This is the first summer when I have trekked twice and I think I am going to make it a habit. 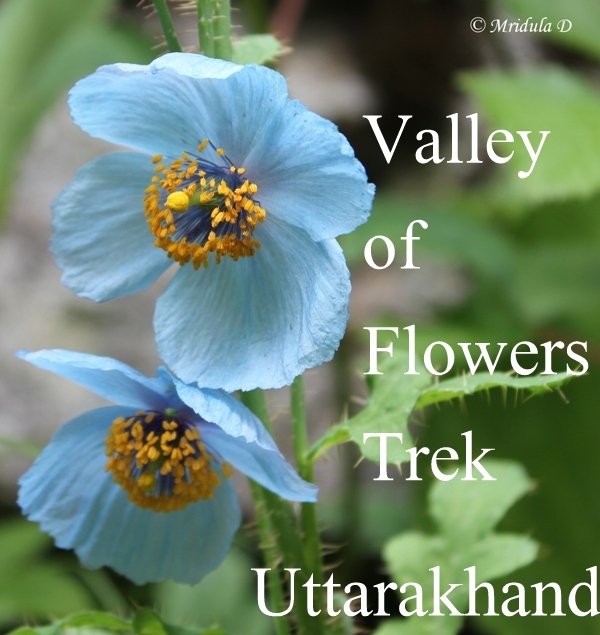 In this post I am collating all my Valley of Flowers and Hemkunt Sahib Trek links and also sharing a few more pictures. It took me two more days to get back to Delhi, day 8 was Joshimath to Haridwar and day 9 was from Haridwar to Delhi. 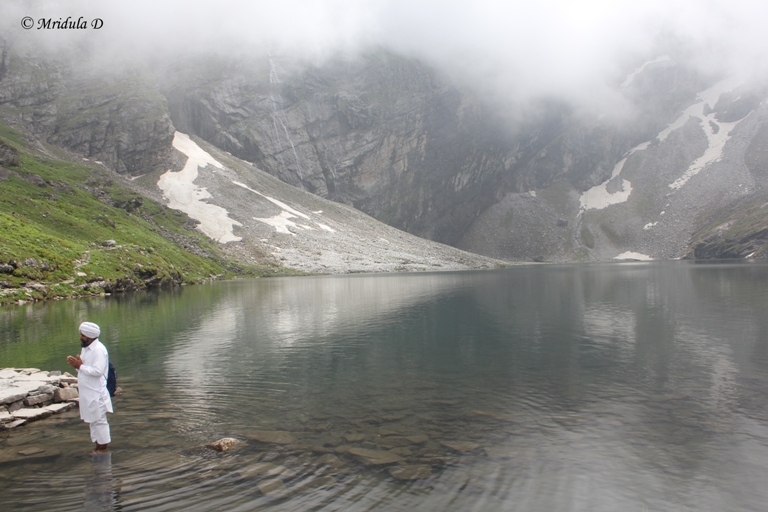 By clicking on the links you can read a detailed account of that day’s trip or trek. 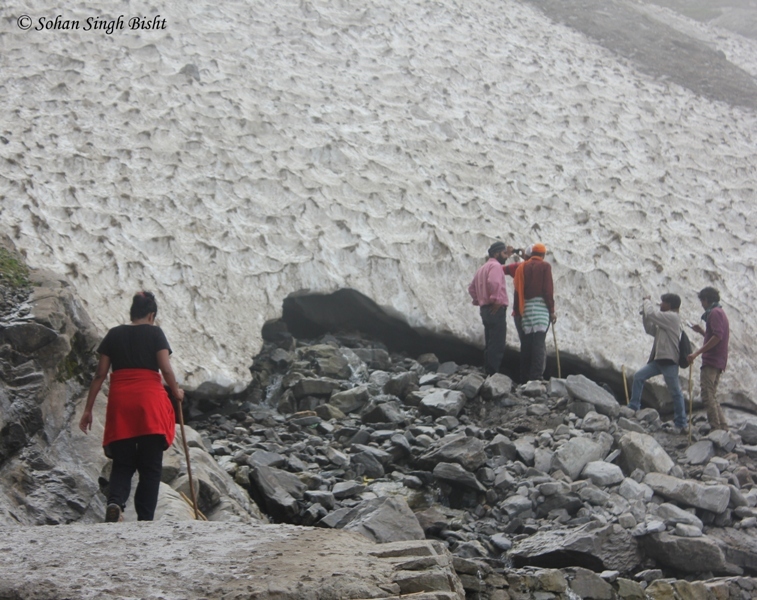 I was aware that the route to Hemkunt Sahib (4329 meters, 15210 feet) was all the way uphill, the entire 6km of it. But having done the Everest Base Camp in May this year I thought I should be able to tackle it. We had bread omelet for breakfast around 6.30 am and left at 7.00 am. The trail is wide and very well maintained. 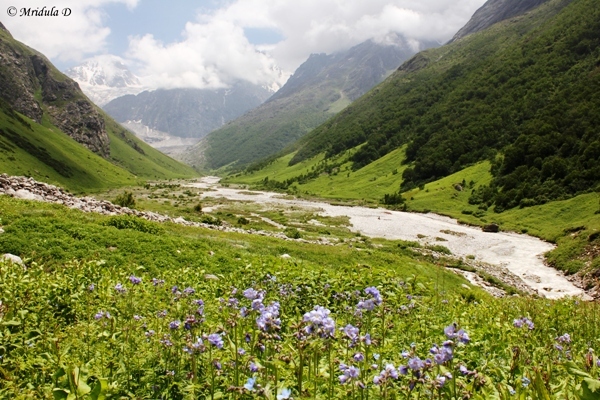 There is a presentation about Valley of Flowers (VOF) at Ghangaria Information Center and there you get to know that at one point VOF was choking with plastic. Then came the Economic Development Committee Bhuyander. 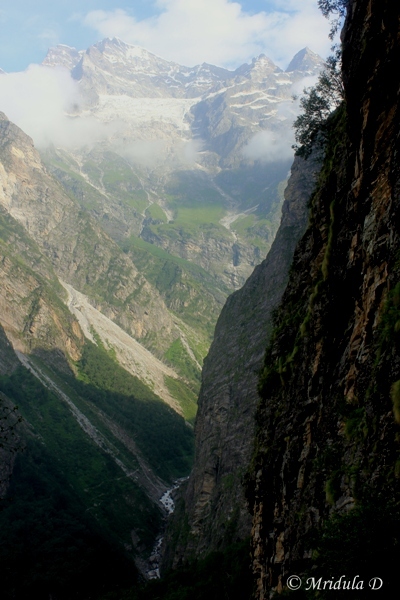 Bhuyander is a village on the way from Govindghat to Ghangaria and they have cleaned the valley to a large extent. 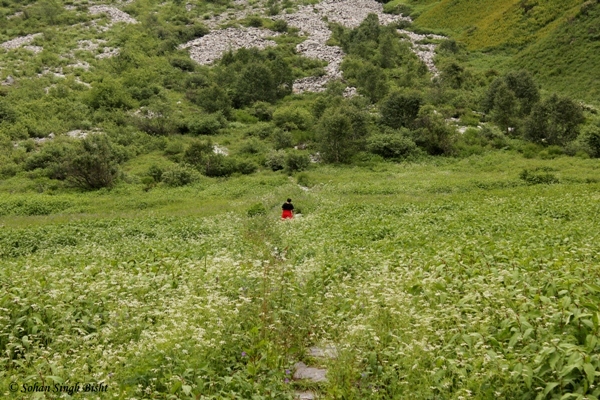 I have to say the valley was much more clean than the Hemkunt Path but in July there were much more people walking on the Hemkunt path rather than visiting the valley. 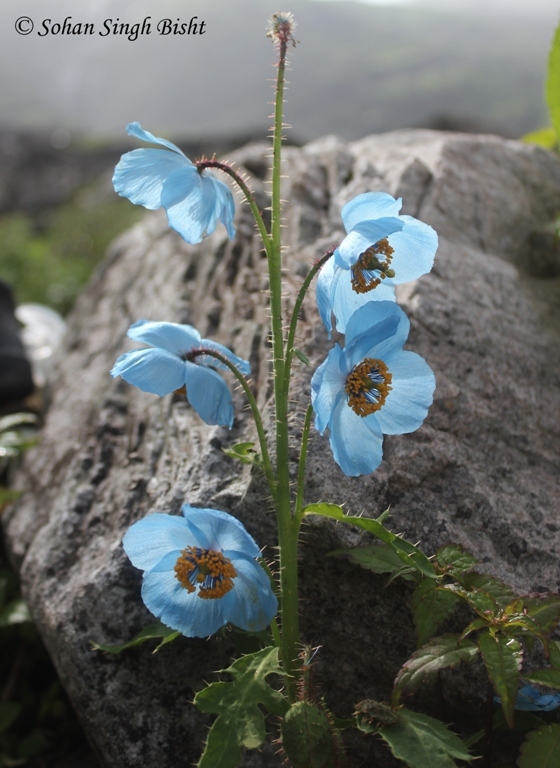 We saw Blue Poppies again but these were a bit far away from the path but not from Sohan Singh ji’s reach, he would climb anywhere if there were flowers to be clicked. There were a lot of people on this route almost all pilgrims with various levels of tolerance for the upward climb. Once again all of us walking at the same pace would start nodding and smiling at each other. A lot of horses, palkis and pitthus ply on this route too. In fact you are obliged to stop many times to let them pass, particularly horses. After a while, walking uphill continuously started taking a toll on me. However, I am used to it so I ignore my fatigue and just continue. In the mean while Sohan Singh ji would after a flower growing on some ledge and then catch up with me quite effortlessly! I quickly came to a spot where the sign board said Hemkunt Sahib 1km ahead and for a moment I believed it. But Sohan Singh ji pointed out that someone has erased the original sign and this was not true. A little ahead we came across the correct sign board and it did say we had covered 2km. My stomach physically churned. I was tired. A little ahead we sat down for tea. But with a glass of hot tea inside me I was willing to walk again. 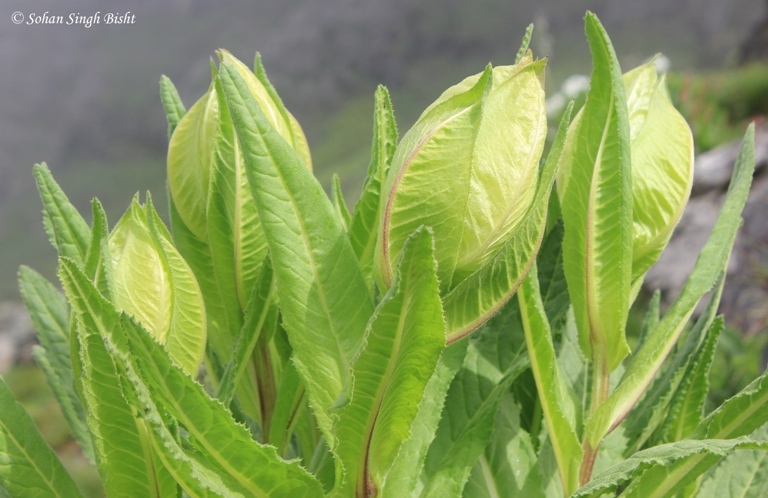 Brahma Kamal is another exotic flower that is found in the valley. 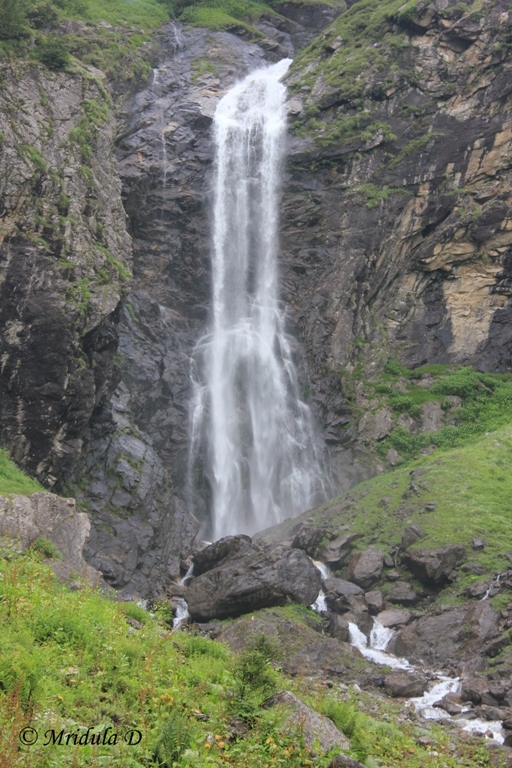 We saw it only on the way to Hemkunt Sahib and not at VOF. As usual it was far away from the trek path and Sohan Singh ji clicked this. I saw another cluster closer to the path as well but his picture is better than mine! Thus walking and panting for most of the time we reached the 4km mark. We had another tea and we shared a chocolate. I needed both. On the way pilgrims offer you glucose and orange toffees, I took them gladly too. After a little more than 4km mark there are two routes. One is the more circular and gradual but also much longer. The other is made stairs, very steep but much shorter. Sohan Singh ji recommended the stairs and I agreed. While I was climbing these stairs a group of youngsters asked me why was I doing this because I probably do not look like a pilgrim. I told them I am a trekker and wanted to do this as a trek first. After a while I reached the lake and the Gurudwara. 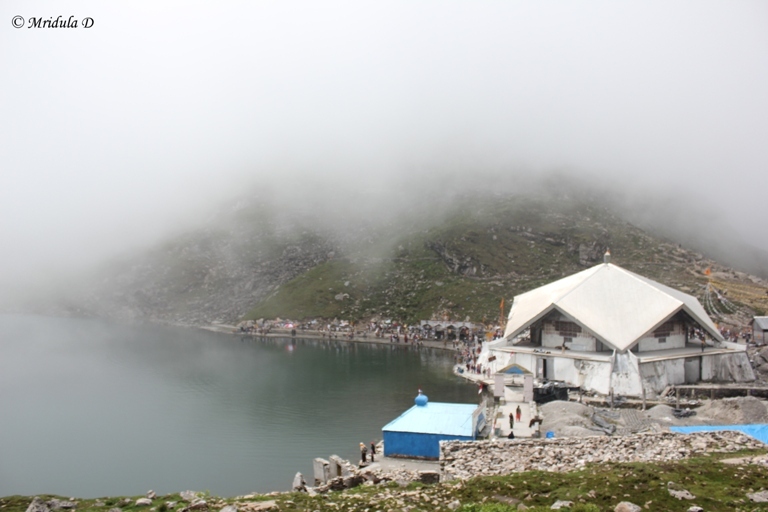 The lake also has a small temple devoted to Lord Lakshman. There are two legends associated here. 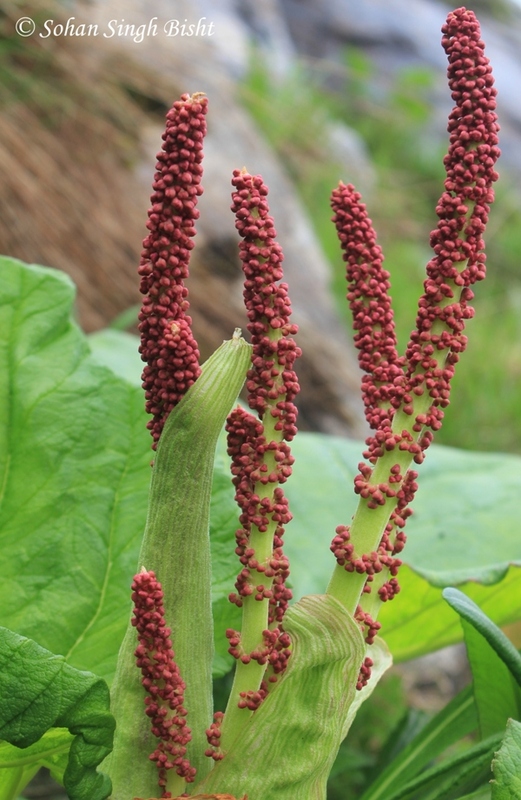 One is that Gods showered flowers on Lord Lakshman and they later flowered and thus came Valley of Flowers into existence. The other legend is that flowers were showered on Guru Gobind Singh ji and VOF came into existence. Now I remember there is a third legend too that VOF used to be the garden of Lord Indra. From the vicinity I could not fit the entire lake into the frame so Sohan Singh ji and I climbed a little higher. And out came a person from the Gurudwara running towards us telling us it is not permitted to climb higher. I didn’t like it one bit but after a short argument I gave up. Their concern was that people can fall and then it becomes Gurudwara’s responsibility. MH1 telecasts live from the Gurudwara. Men take a dip in the lake and there is a secluded section for women but I was not tempted at all. It was cold up there. All the while I was there the lake was surrounded by mist and a little later it almost completely vanished from the view. We visited both the temple and the gurudwara. A little later we ate khichdi and had tea from the langar. Then it was time to head back. After all I had to climb down all those 6 kilometers again! 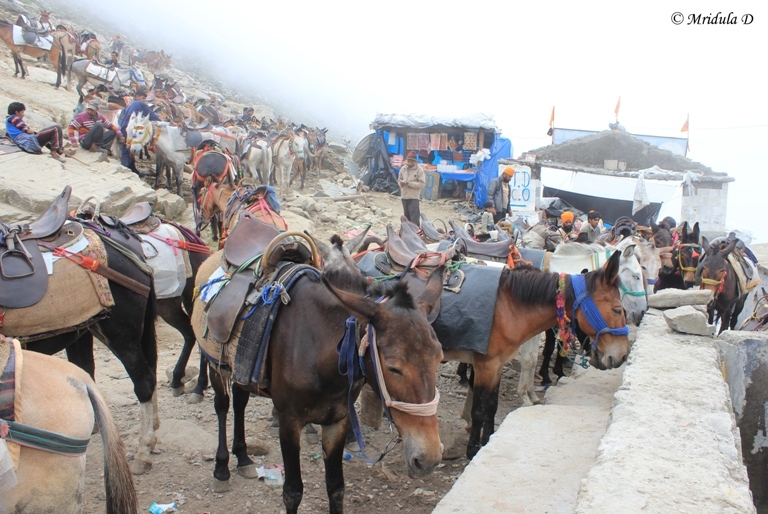 This is a partial view of the horses waiting to take people down again from Hemkunt Sahib. We were walking back by the more circular route as it would be easier on my knees. There I met a lady still going up, who at one point was roughly walking with me. She asked me in a desperate voice how far ahead it was and I truthfully told her 10 minutes. But sometime later another group asked me how far it was an I untruthfully said 10 minutes because they looked too tired and I didn’t had the heart to say they were still some distance away. I was fine for 4km then my knees starting hurting. But I managed to get down and both of us attacked our Maggi with gusto at the hotel. 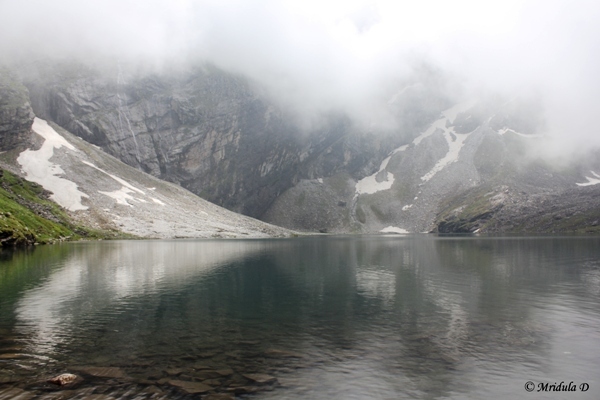 It took me 8 hours in all to go to Hemkunt Sahib and get back too. At dinner I tried another Garhwali dish called Aalo Techwani. The only task now remaining was to get back to Govindghat from Ghangaria the next day.